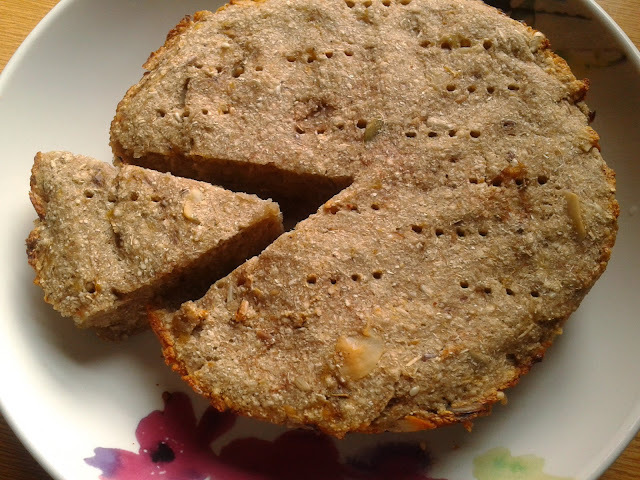 I've already shown that garri (cassava flour) can be used in unusual ways (check out these garri cookies) and this is entirely the case with this recipe. I had an overload of ripe bananas just sitting in the kitchen and so decided to create my own version of banana bread. I am so pleased with the results and cannot tell you just how amazing it tastes! Seriously. 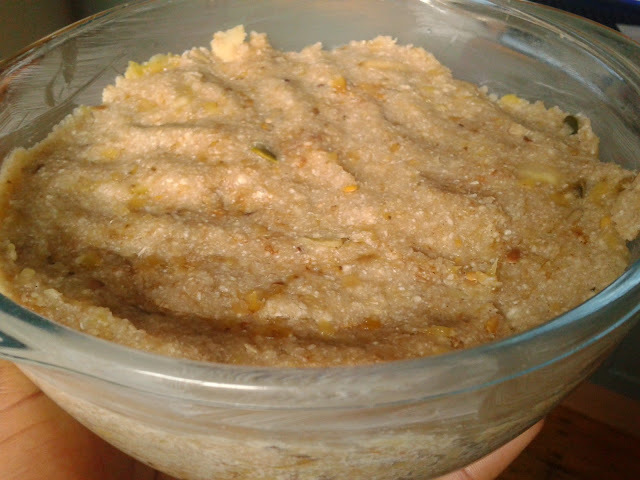 It's naturally sweet from the ripe bananas, but there's also a bit of a tang from the garri. Not only is it gluten free (not a drop of flour in there), but it's also sugar free. All natural, wholesome ingredients. Smells and tastes delicious with the addition of cinnamon too. 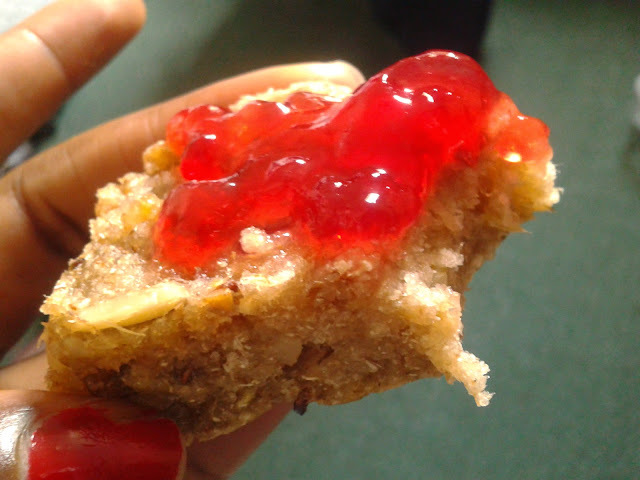 You can have a slice for breakfast or as a tea time snack. Just spread on some [sugar-free?] jam or peanut butter to jazz things up. Place the bananas in a large mixing bowl and mash until mushy and gooey. Add the garri, optional nuts & seeds, and cinnamon. Give it a good mix and leave to stand for about 5-10 minutes. Give it another good mix, preferably with clean hands to make sure the mixture is well combined. Transfer mixture to a lightly-greased bread tin or pyrex dish (as I have done). Bake in a pre-heated oven, gas mark 6, for 35 minutes. Take out and leave to stand for 15-20 minutes before attempting to take it out of the tin. It may be a little sticky when you first cut into it, but the longer you let it stand, the more it hardens and holds a better shape. 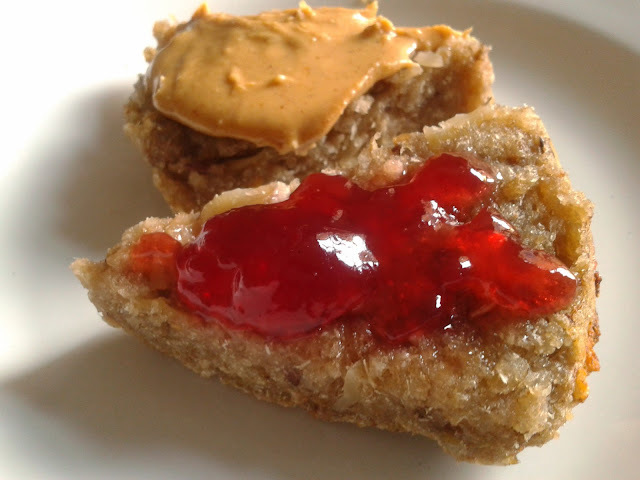 Serve with peanut butter or your favourite jam. Enjoy! That looks absolutely delicious! Banana breads (esp GF) are the best! Thanks! :) I agree, love banana bread! Hahahahahahaha!!! This recipe is totally hilarious (banana and garri???) but it looks so yummy and I'm definitely trying it out. Thanks Tomi. Hi, yes you can, but I you'll need different ratios of the other ingredients. I'm going to create a flour version of banana bread soon, which should be easier to follow. thank you very much.... where can i buy this bread in Lagos ? 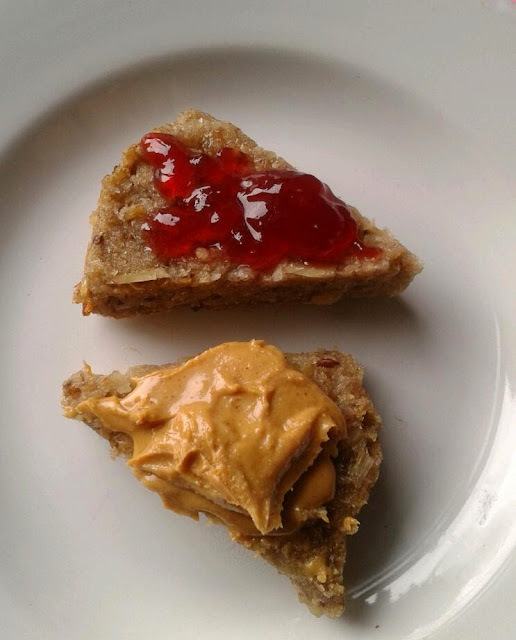 I'm always looking for ways to dress up plain banana bread, and love this idea.